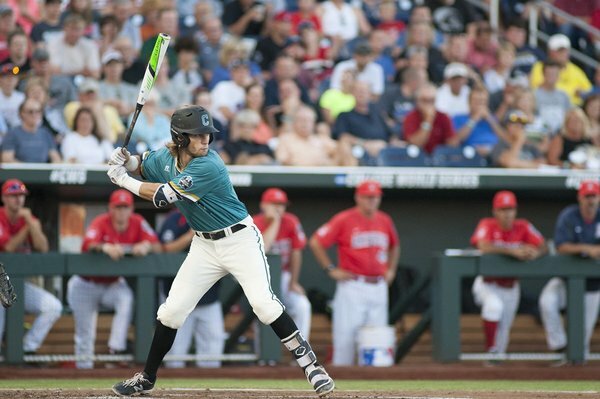 Get a recap of news from Arizona's 5-4 loss to Coastal Carolina in Game 2 of the College World Series finals. Tying run at the plate. Home run would freshman catcher Cesar Salazar's first. Dalbec draws a walk. Runners on first and second, no outs. Dalbec follows with a walk to put 2 on for Cesar Salazar. Nobody gone in the 8th. Three quick balls to Dalbec. 3-0 count. Make it a wild pitch. Either way, Aguilar is at 2nd w/Dalbec at the plate. Passed ball moves Aguilar into scoring position. Bobby D at the dish. Runner on first. No outs. Aguilar singles to right to lead off the bottom of the eighth inning. Aguilar opens up the bottom of the 8th with a single to right. That brings up Dalbec w/1 on, 0 outs. 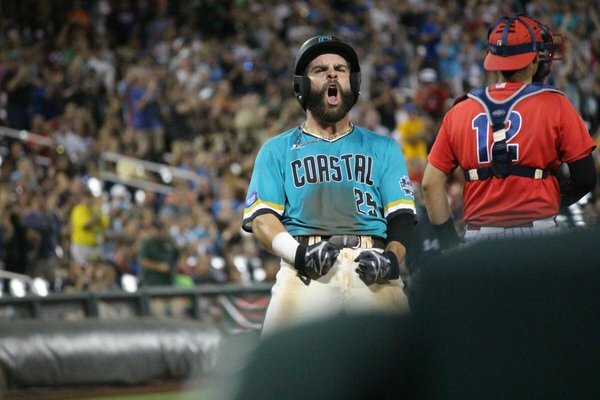 Chants score three in the 8th to take a 5-2 lead. Holmes back to the mound for the bottom of the 8th. 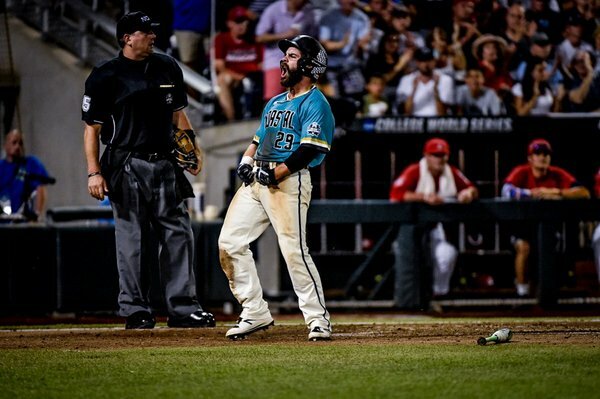 Cooke pops up to Aguilar to end the inning, but not before Coastal Carolina plates three runs. CCU leads 5-2 heading to bottom of eighth. This has been another great CWS!! There's something so pure about college sports. Love it! Johnson's calls to bunt in the 1st and pitching Rivas in the 8th will haunt #ArizonaWildcats forever if they lose tomorrow.